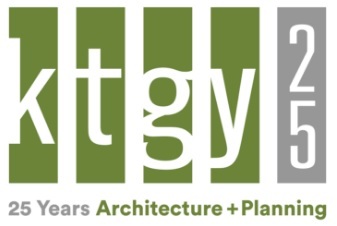 LOS ANGELES – (RealEstateRama) — International award-winning KTGY Architecture + Planning announced today the firm’s Los Angeles office has completed its sixth year of teaching and mentoring students attending Bell High School in the City of Bell, Calif. Through the ACE (Architecture-Construction-Engineering) Mentor Program Los Angeles, volunteer mentors and staff from KTGY’s Los Angeles office provide Bell High School ACE students with bi-weekly hands-on learning activities and classes relating to the field of design-build to educate, mentor and inspire these students throughout the school year. KTGY Project Manager Anabel Martinez,has been involved in the ACE Mentor Program for nearly 14 years and was selected as the ACE Mentor Los Angeles “Architect Mentor of the Year” in the past for her mentorship, team leader activity, and dedication to the growth and impact of ACE Mentor Los Angeles at Bell High School.